There are so many tools and resources out there for blogging and to be honest, it can be a bit overwhelming. Over the last few years, I have been trying out many different resources, services, and tools, often jumping from one to another trying to see which ones work best. So today, I want to share with you some of my favorite blogging resources and services that I have used and still use to run my blog, which has really helped me in growing my blog into a business. If you are new to blogging? The first step is to build yourself a Blog, and I have a tutorial guide here. I recommend using Bluehost as your host. They have a remarkable customer care service, which is fast and reliable. Or if you are looking into moving hosts, Bluehost is a reliable web host. There are many ways to make money from blogging, more than I can cover here in detail. So I will give the best resources and programs that have helped me so far, which are good for both beginners and established bloggers too. Affiliate marketing is when you refer someone to buy any online product, and then once they buy the product, you will receive a commission. You place your unique affiliate link in a blog post, and when someone clicks that link and makes a purchase, you will earn a commission. The commission varies with each company: anywhere from 4% to 70% and above. If you would like to know how to make money with affiliate marketing, you can take this course Making Sense of Affiliate Marketing which will show you how to make your first $1000, even within a month. Here is the link to a Making sense of Affiliate marketing course. This is where a company will pay you a certain amount of money to write posts about their product. Sometimes they may ask you to simply mention either their company name or one of their products in a blog post or your weekly/monthly email newsletter. However, keep in mind that for this you’ll need to start building up a decently-sized mailing list for brands to consider using the best email provider like convert kit. If you want to learn more on how to make money with sponsored posts, I recommend taking the course Making Sense of Sponsored Posts. Here you will learn everything you need to know to get started with sponsored posts such as how to look for them, where to find them, and how to charge them. There are people like Alexis and Michelle who are making $10,000-$20,000 a month with sponsored partnerships! They have shared all their details in their course Making Sense of Sponsored Posts. You can check their course here Making Sense of Sponsored Posts. This is one of my other absolute favorite ways to make money with blogging. This is where you create digital products and sell them online. The good thing with selling digital products is that you are in complete control of how your income will be. There are many different digital products you can create but below are the main examples of digital products that bloggers often create. Online e-courses – This is an educational course or class taught to students via the Internet. e-books – These are online books that you create and sell for people to read easily by readers, they can be read on mobile phones, tablets, and even their computers. Video tutorials or workshops – Videos are a great form of delivering educational and informative lessons, discussions or ideas, which are often much easier and quicker to understand than simply reading. Offer One-on-One Coaching program.- This is where you work one-on-one with people to get personalized advice directly from the expert in their field. So you answer any questions or give others advice for a fee. I would claim my success in selling and making digital products to this course 6 Figure Blogger by Create and Go. It shows you what kinds of digital products to create, where to sell them and how to make even more profit. It the best course out there that will help you grow your income through selling digital products. You can check the 6 Figure Course by Create and Go right here. Social Warfare is a plug-in designed to add sharing buttons for social media which allow your readers to share your content with others. Which means when your content gets shared, you have the possibility to attract new visitors to your blog, the more social media shares you get leads to more website traffic. This is how it looks like at the bottom or top of your blog posts. Grayson Bell from iMark Interactive helps me manage my blog and handles all the technical aspects that aren’t my forte. He assists with full-service WordPress support. Plus he offers not only one-time support but also ongoing support for any issues that you may encounter. I have been working with Grayson for over a year now, and I would say he is the simply the best I know. You can check out all the services he offers here. Increase your Blog Traffic and PageViews. If you want to increase your traffic and have more people visit your website there two things I recommend using. This course will give you 21 specific strategies on how to increase your page views. I remember when I first applied their tips I had an increase of page views by 1700 within 2.5 weeks. What I found impressive was Lenna the owner of the course has practical, tips easy to apply and digest. especially if you are new or an intermediate blogger. You can check out that course here Traffic Transformation. 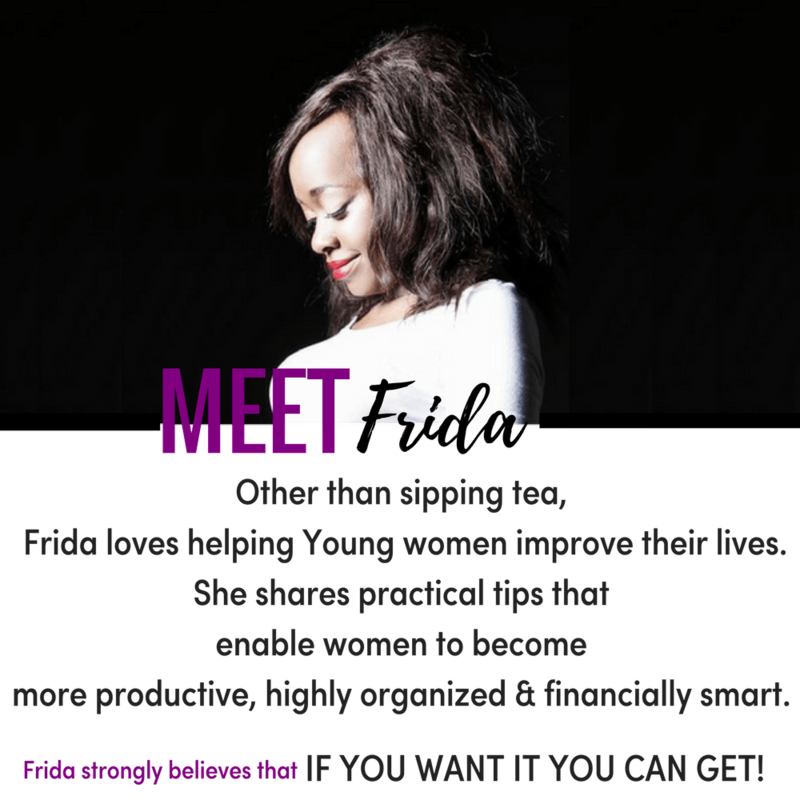 She also has a free 5-day guide course on how to increase your traffic and income which you get here. SEO also is known as (Search Engine Optimization). These are actions taken to ensure your blog can be found in a search engine’s results page like Google when people are looking for solutions etc when they google. Last year, I took a course called Simple Stupid SEO, by mike and I was amazed at how great this course was. I mean I have done tons of SEO courses already over the years, and nothing has been better than how Mike, the creator of the course, has explained how SEO works, what it is, and what exactly you need to do. He has made everything so simple to understand, such as how to get traffic from Google with practical examples. If you’re struggling to get traffic from Google, then join the waiting list here so when Mike opens this course again, you will be the first to know and get a chance to get into the course as he has a limited he has limited availability. You can join Simple Stupid SEO, waiting list here. These two courses have everything that you need to know about Pinterest, absolutely everything. ConvertKit is an email service provider that specifically helps you build an audience and practice email marketing such as sending emails to your subscribers. This also allows users to automate emails, so all you need to do is write an email and choose the day and time that you want your email to be sent. There are other email service products out there, but I find ConvertKit to be easy to use and not too complicated technically, unlike many others. You can get a free trial for ConvertKit here. Below are some downloadable resources there is so much information in there please make sure you download. 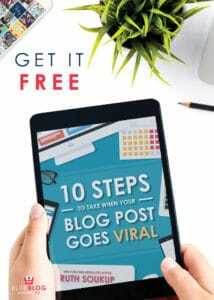 10 Steps to Take When A Blog Post Goes Viral. 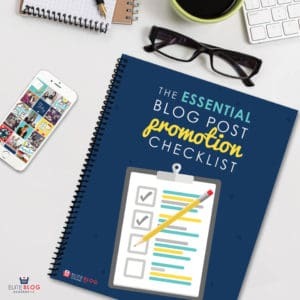 The Blog Post Promotion Checklist. 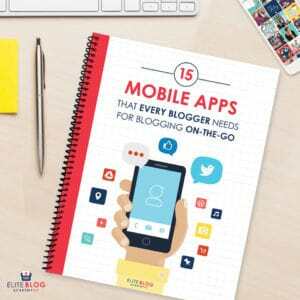 You can click here to download 15 mobile apps every blogger needs. 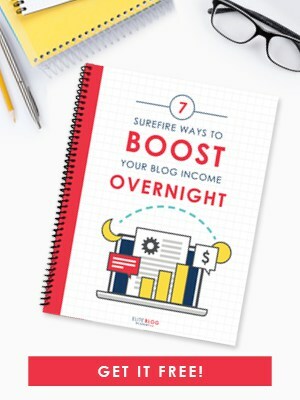 7 Ways to Boost Your Blog Income Overnight. You can click here to download 7 ways to boost your income overnight. The Beginner's Guide to Branding Your Blog. You can click here to download Beginners guide to branding. 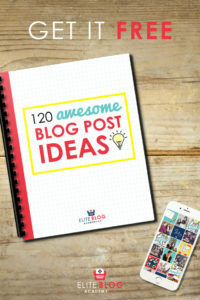 120 Awesome Blog Post Ideas. You can click here to download 120 blog posts ideas. 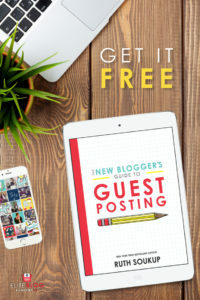 You can click here to download guest post guide for new bloggers. 8 Bad Blogging Habits & How to Break Them. 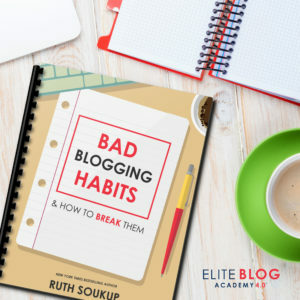 You can click here to download bad blogging habits and how to break them. If you want this post as PDF, you simply request here, and I can send it over..
Woh. Love the post. You have most of the same affiliate connections as yours truly. Great information! I really need to start doing some of these. I love WordPress, but there is just so much more to learn about the blogging world! One of these days I will try WordPress again. I tried it before without much success, and I am back at Blogspot. I hope that I can figure WordPress out. I love doing my blog, but it doesn’t pay. It is a labor of love. I definitely super regret not starting with wordpress. One day, I’ll likely transfer my blog over from blogger. And adding mailchimp is on my to-do list! Wow this is a great post very informative! Just created a blog a month ago(launching in June) and i appreciate this tips. Thank you! Awesome growth! & Fantastic list! I use some of the ones you mentioned above. Definitely need to checkout Jaaxy! These are some great resources! I’m using a lot of them, or one of their equivalents in some other cases, but I’ll take a look at the others, like JAAXY. Have you heard of triberr and dlvr.it? they are both great tools that use your rss feed to share your content. I get about 20% of my traffic from them. Perfect article for beginner and newbie bloggers, thank you for breaking all the different topics. I’m just now starting out and learning all this stuff as I go so I really appreciate your tips. I love PicMonkey and Tailwind!! I’ve heard a lot about ConvertKit and SiteGround but haven’t tried either one yet, I need to just do it though! How much money are you making per month from ad sense? Also affiliate marketing? I know your blog is young, but you look like you have a somewhat engaged audience. Do you think that this is because you respond and post frequently? I second SiteGround for hosting. So glad that I switched to it last summer. 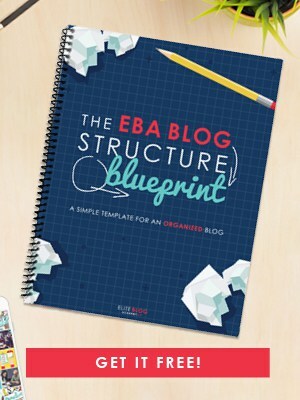 A great resource for new bloggers. I’m learning Tailwind now – it’s kind of fun, I like it! Jaaxy I will check out. I agree 100% too – if you want to grow a business you have to invest in it AS a business. Or in other words, just like with parenting, start as you mean to go on! Great resources! I’m using all of these as well. I just started using Tailwind and I really need to spend some more time on it to make it work for me. Some great tips. I use Yoast for SEO on WordPress and have liked it. There are so many programs, it’s just figuring out which is best and works for my budget! I am using WordPress and SiteGround too. Thank you for recommending JAAXY, I will try that one, as I don’t have any keyword tool yet. Thanks so much – very helpful! This is a great list! Thanks for the information! I would suggest you try two like start with tailwind and get jaaxy keyword tool. these two tools will bring traffic to your blog and thus you will be approved by google AdSense for ads. next when google starts paying you out invest again get convertkit so you will get more subscribers and thus traffic. while still doing all these you should be looking for affiliates program to join to bring income little by little as traffic is flowing from tailwind and jaaxy is bringing in organic traffic. I”ve been thinking about switching hosts, so I’m going to see about siteground. Good tips. Thank you have a look at what they offer it’s irresistible. Wow! What a useful post! As a blogger, I can truly appreciate your advice and apply it to my daily work! Great tips. I use many of these but there are a few I haven’t heard of before. I’ll be checking them out. Wow this information is mind blowing. I just started blogging (like this month) and I have no idea what I’m doing. I know at some point i’m going to have to switch over to a self hosted blog, but for now, I’m just using the wordpress basic version. I have so much to learn!